It’s not often that you see a group of more than 100 entrepreneurs raise their hands at exactly the same time — but if you’d been at the product launch for N-Hance’s new floor-sanding service at the brand’s annual franchise convention, that’s exactly what you would’ve seen. 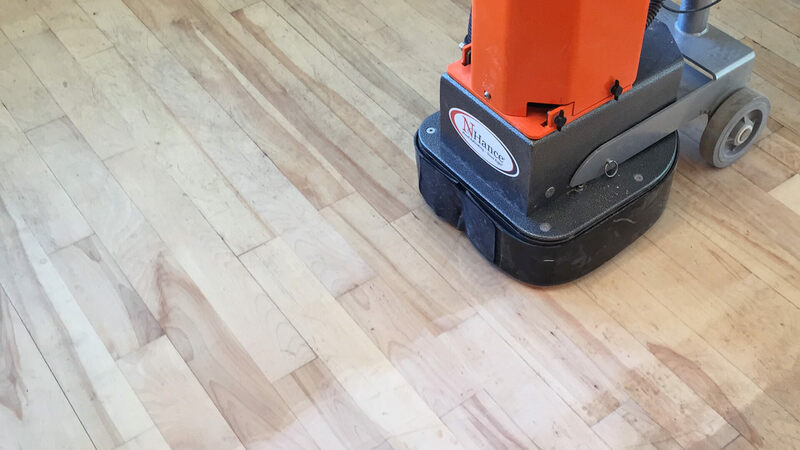 N-Hance franchise network is so excited about the new floor-sanding service. Franchisees will be able to vastly improve their ability to meet their clients’ expectations. This service also has the potential to substantially increase revenue. 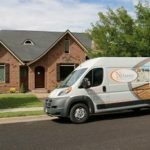 Until the launch of the new service, N-Hance franchisees were limited in their ability to refinish extremely damaged floors. With the DC1 Sander, N-Hance franchisees will have access to additional streams of revenue. What is our new sanding service technology and how does it work? The DC1 Sander is an incredible tool that provides franchisees a tremendous advantage over the competition. 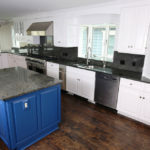 Above all it’s an all-in-one sander, buffer and edger, that means franchisees can sand floors that many contractors would have to walk away from. The DC1 sander edges to within an eighth of an inch of the wall, and it can remove glues and coating. It is lightweight, breaks into three parts, and is easy to move and transport. 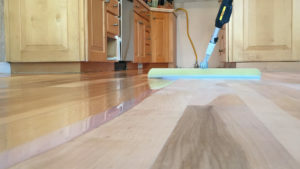 No sanding service would be complete without a way to clean up. To accompany the DC1 Sander, N-Hance rolled out the S26 HEPA Vacuum. The vacuum is a powerful single-phase dust collector, with two tested and certified HEPA H13 filters — making up an extremely efficient filtration system. Features include pre-filter cleaning, hour counter and a vacuum meter for filter control. The non-marking wheels are puncture-free and lock at the front, and the Longopac bag hose ensures simple, dust-free bag changes. 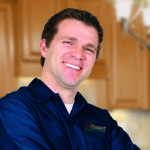 N-Hance has training sessions to help franchisees master the technology to perform the service in their clients’ homes.